The Panther TL spinal brace is an excellent choice of TLSO for the treatment of compression fractures, excessive kyphosis, or for post-fusion stabilization. The adjustable-height posterior Kydex strut provides a gentle extensive force. The universal Panther TL requires no tools to size. There’s no need to cut or fold a belt. Just add or remove belt segments. 25” to 66” – and beyond! Just add extra belt segments. 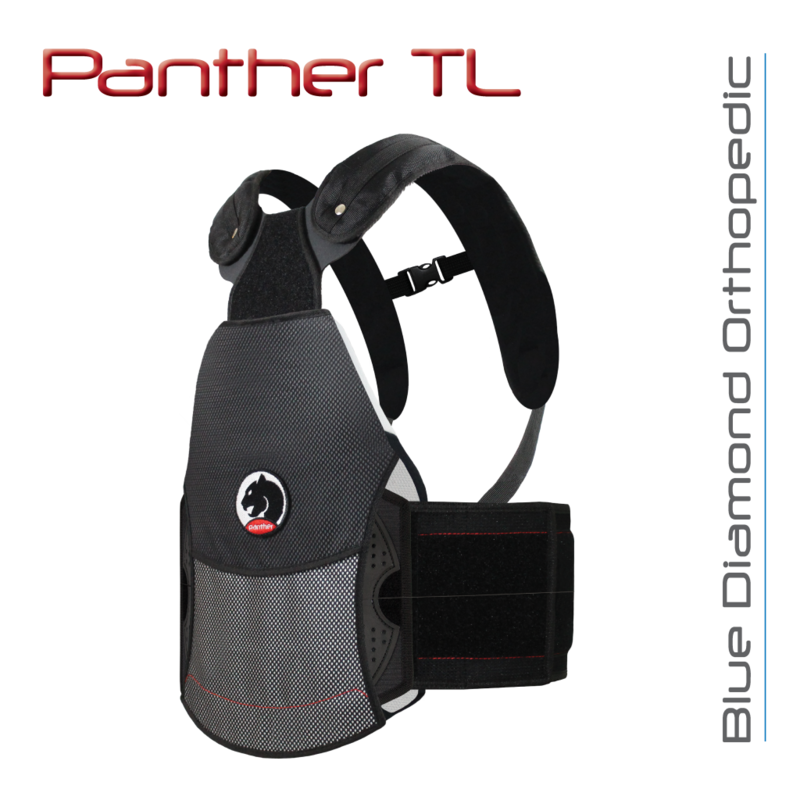 The Panther TL’s posterior plate auto-conforms to the patient’s lordosis as the brace is tightened.